Today’s gravestone is found in the Old Burying Ground in Cambridge, Massachusetts, marking the burial place of William Dickson (1614-1692). This stone was carved by Joseph Lamson (1658-1722) and is notable no just for the skill of the carver (consider the work of William Young, for example) but for the iconography included on the stone. New England’s gravestone, at least until the mid-18th century, included explicit imagery of death – typically a winged skull in the tympanum. There are other symbols of mortality that appear less frequently but are not less interesting; one of my favorites are referred to as “imps”. The Farber Gravestone archive offers several other examples of imps. Some later carvers included figures of death carrying darts. These aren’t technically imps but they’re of a similar class; the small skeleton bearing a scythe and a dart on the Samuel Hagar stone (d. 1774) is a good example here. Finally, we can compare the two flanking imps to the four figures of cherubs bearing coffins. 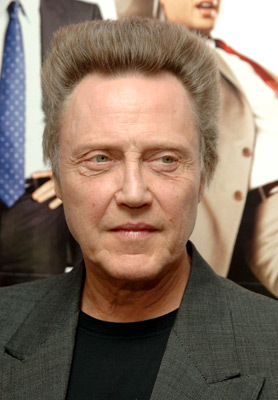 While the bodies are similar, the faces of the cherubs look much healthier, albeit a little like Christopher Walken.